New as they are to the world of golf, I should think they have some data to back up the numbers. It's pretty clear that the OP's question has a political element in it. Currently Trump owns (or is part owner?) in 18 courses around the globe. https://www.trumpgolf.com/ I'd love to play all of them. Short of the decision being politically based, why wouldn't you? Sure, all but one (I believe) are private and have pricey green fees, but there are hundreds of courses that fall into that group. I have played one of them (Doral), but that was back in the late 60's when playing on the JGA and DT was busy working on his first million. I'm counting it anyway... only 17 more to check off. Yup, the suspended in a nest is the description I was looking for. The hovering swing is not something I practice. Cool chart. Having had my swing speed measured while testing new drivers this past winter, the chart is accurate. It is also really close to what I expect from the rest of the arrows in my quiver. Thanks for sharing. Well, last week it was $54 for green fees, cart, access to range/practice areas, and either breakfast or lunch. That is a non-peak season rate for MT residents. It's a great deal for this caliber course. This week, we paid $65 with cart and range but no grub (peak season started 6/25). https://oldworks.org/book_tt/ I asked my playing partner if he wanted to have a go at a couple of the slag tees and he politely said no thanks. A few in particular were much longer and set back in narrow windows. GIR for us from the copper tees was challenging enough; for sure if we had to hit from the ruff. 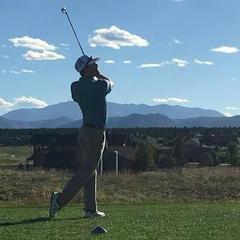 Compared to other courses I play, my GIR was down 50+%, and we had nice weather conditions both rounds (wind can and does blow in southwest MT). 92 at Old Works with three reasonable looks at birdies and a 10 on hole #11 (par 5). Aggravating because my drive and 3 wood were nicely hit but my second shot was left on a steep side hill. This prevented me from trying to make the green and my layup hit a sprinkler head and ended up on another steep side hill. Choked up on a 7 iron and tried to clear the creek, but did not... as did the next. Then into the bunker and, well, . We've now played Old Works (Anaconda, MT) a couple of times. Their ruff is a different kind of grass than what we're use to. It's both wispy thin and thick at the same time and the ball kind of sits on top. On several occasions, my ball moved slightly while positioning the club for the shot. We don't care about such rules when we play, but it got me thinking just how in the hell the pros handle this. Do they simply never ground the club anywhere near the ball as you normally do on the fairway or even ruff? Also, how many times do you think pros actually do move the ball but don't take the penalty? Some of the shots they hack out are pretty hidden from view. 250 yards carry is indeed unobtanium for most. 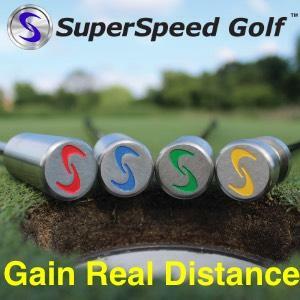 Based on my observations of golfers, consistently getting 250 yards total distance is a challenge. I also agree that most grossly overstate their driving distance - at least true average. All that and you're still failing to make the case. The equipment argument is a red herring - that is starting to smell. My money's on your mutt. Yeah, everyone gets that. But those suggesting that advances in equipment made it more difficult for Woods is bogus. Made countless times by TW fans. The analogy and argument still is only relevant for the era in which player A or B is competing. The same scenario plays out in Jack's era. To suggest that advances in equipment only apply to TW's is ridiculous. But then, when you're trying desperately to make a case that cannot be made, at least with current records, it's totally understandable. Interesting. I've never heard of those irons. "Ultradyne"... you just gotta love the marketing dudes. I wonder what the hell the Karsten group was thinking when the came up with Ping Eye? I tried the Ping G400's at a Ping Demo Day this past winter in Yuma and really liked them. This advice however coming from someone who has been playing PE2's since 1988. Overall, distance was a little better and trajectory slightly lower. Not sure how to describe it, but they just had a different/crisper feel than the PE2's. I will say they've had me debating whether to upgrade to more current technology. Lots to choose from - which can be both good and bad. Good luck with the search. We'll, we are in disagreement on yet another topic. Yeah, that is a classic.